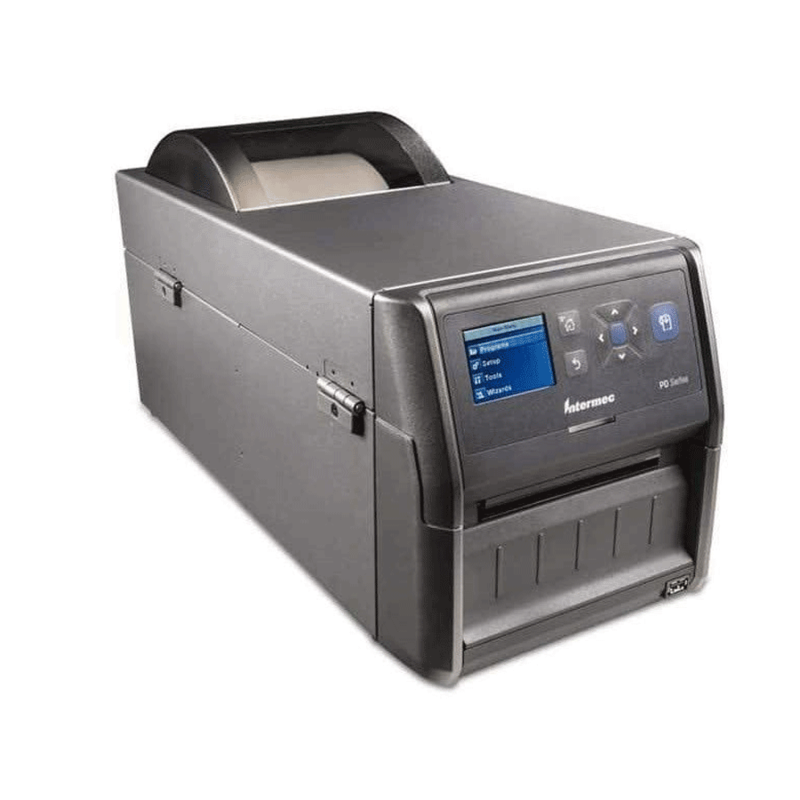 The PD43 and smaller PD43c family of light industrial thermal printers incorporate the latest printing innovations into a compact and affordable package. Ideal for tight spaces, shallow countertops, and pull-out cabinets, the PD series was designed to deliver no-compromise printing performance in the smallest possible footprint. Suited for the distribution center and warehouse as well as airline passenger service, the PD43 upholds the long tradition of reliable performance of the PD series. An all-metal chassis, strong castaluminum print mechanism, and tool-free printhead and roller replacement help minimize downtime and maintenance needs. With a variety of door options, the PD43 can support a wide range of media – including ink-in and ink-out ribbons with half-inch or one-inch core sizes – enabling maximum time between media resupply. Fast time-to-label and print speeds of up to 200 mm/s (8 ips) ensure that the PD43 can scale with the changing needs of dynamic operations. Small footprint for installation into compact tabletops and pull-out cabinets. Rugged metal chassis and print mechanism provide investment protection. Intuitive, 10-language color display or icon interface simplifies setup and maintenance. Comprehensive printer command language support, including ZSim2, makes upgrading easy.